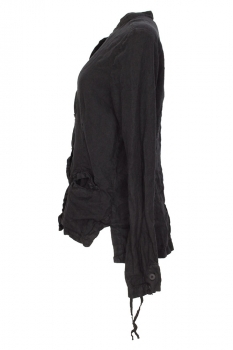 Pal Offner Unisex 'Loose Jacket' in over-dyed, crumpled black linen, with cotton attachments. 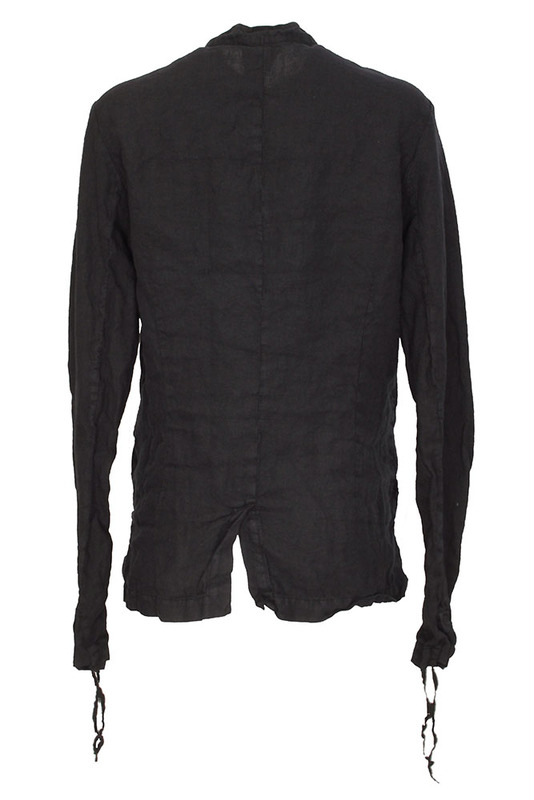 Round collar with sewn notch detail. Buttons on tape so can be changed to left or right fastening. 6 buttons. 2 pockets with flaps. Side and central rear vents. 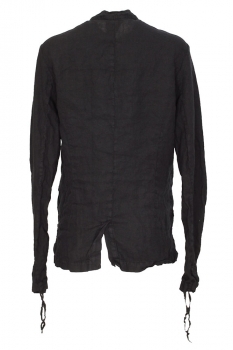 2 button working cuffs with doubled fabric pulls to ruche the lower sleeve. Great jacket in a wonderful fabric. 3 - Medium, 4 - Large.